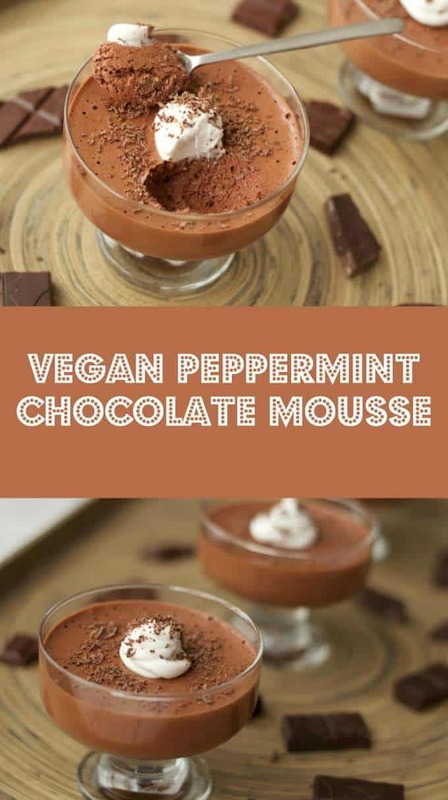 This vegan peppermint chocolate mousse has the most realistic mousse texture of any vegan mousse out there. You wanna know why? Well…it’s because of the geniuses who discovered aquafaba. I certainly had nothing to do with it, but I sure am grateful! What they discovered is that if you take the brine (liquid) from a can of chickpeas and whip it up (adding some cream of tartar for stabilization helps too), it looks and acts like egg whites. As you can imagine, this led to big excitement! 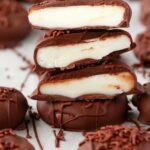 I mean now you can make vegan meringues, proper meringues that look and taste exactly like egg white meringues! But we’ll get into more excitement about that part when I post a lemon meringue pie recipe one of these days. 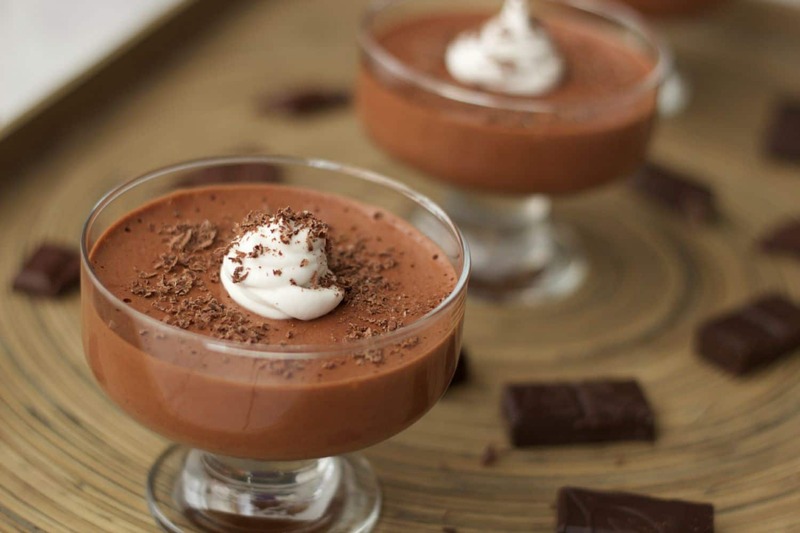 Now before you go getting grossed out about chickpea water in your chocolate mousse, suspend your judgement for a minute – the end result tastes nothing at all like chickpea water, and let’s just call it aquafaba as that sounds much better anyway. 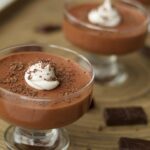 The chocolate mousse that results from this recipe is simply divine. You’re going to love how light and fluffy it is. Whipping up the aquafaba all the way to the stiff peaks stage can take anywhere from a few minutes to fifteen minutes so get out your electric mixer and prepare to watch magic happen. 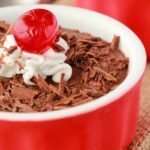 I like melting chocolate by placing it in a cake dish above a pot with some water boiling away in it and let it gently melt that way. 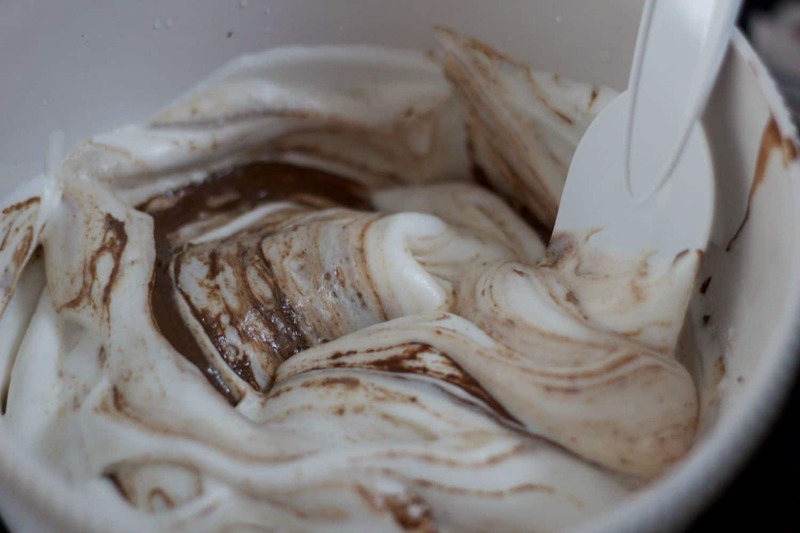 Then you just want to fold in the melted chocolate to the whipped aquafaba mix. Pour into glasses and allow to set. 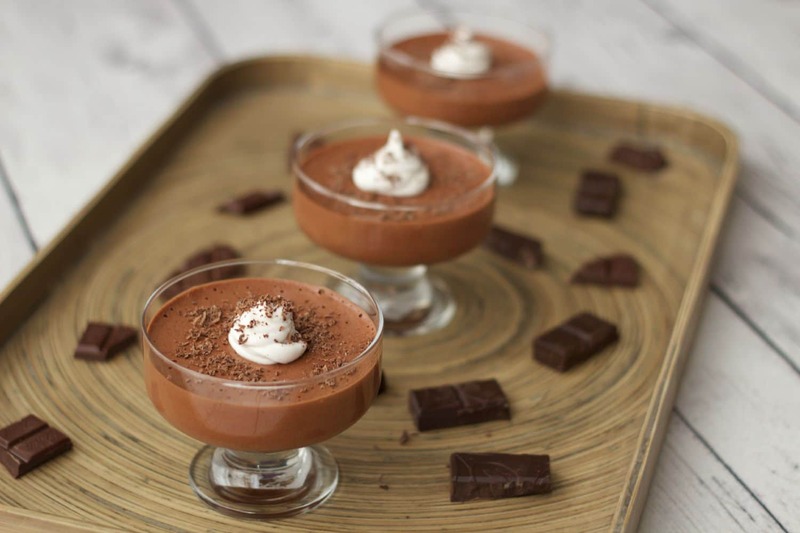 And to make it even more fantastic – serve it with whipped coconut cream and grated peppermint dark chocolate. 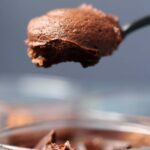 Seriously – give this recipe a try, you’ll be entirely sold on the aquafaba thing forever after! 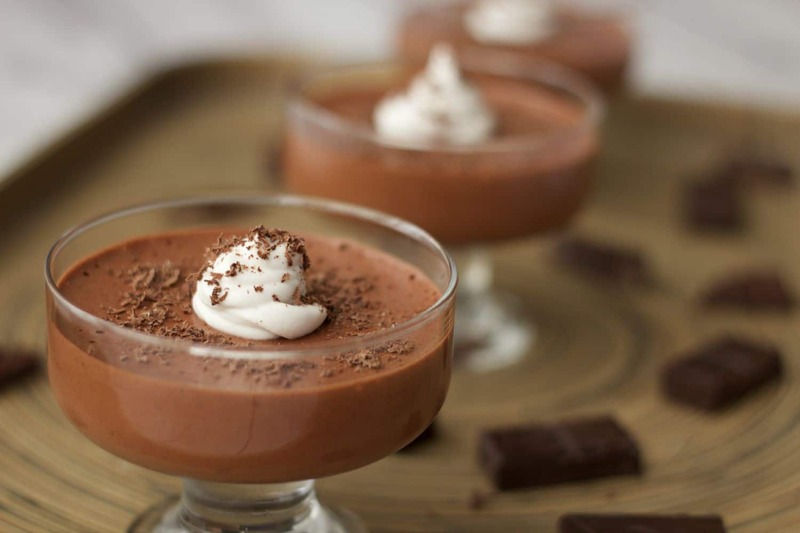 And if you like chocolate mousse things (who doesn’t?) 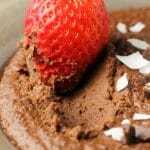 check out our chocolate ice cream that really tastes like a chocolate mousse ice cream! And if you do make this recipe, please rate it and leave a comment and take a picture too why dontcha and tag it #lovingitvegan on Instagram so we can oooh and aaah over it too! 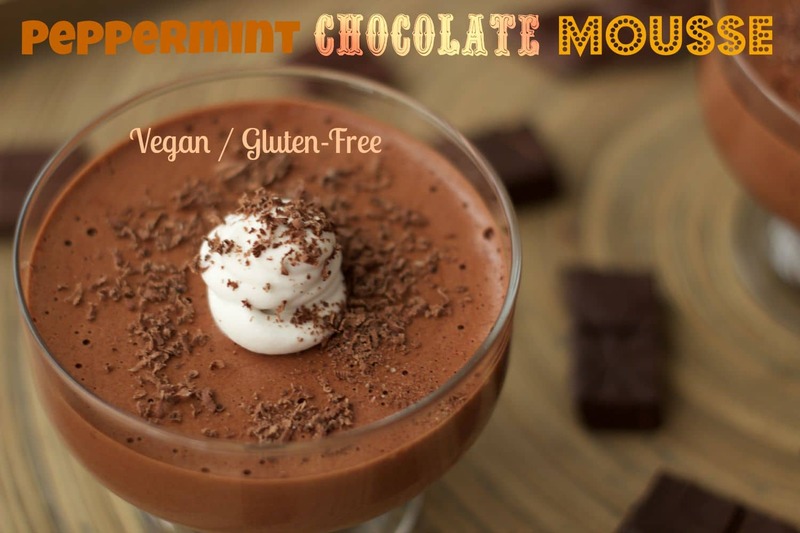 Amazing vegan peppermint chocolate mousse, the best texture vegan mousse you’ve ever had! 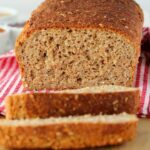 In just 5 ingredients too! Open a can of chickpeas and drain the water out of the can and into a mixing bowl. Add the Cream of Tartar. Starting at low speed allow the mix to become very foamy and then gradually increase the speed. Let the mixer run until your chickpea brine and cream of tartar mix has reached the stiff peak stage (as pictured above). This can take up to 15 minutes. Add the powdered sugar and whisk again until well mixed. 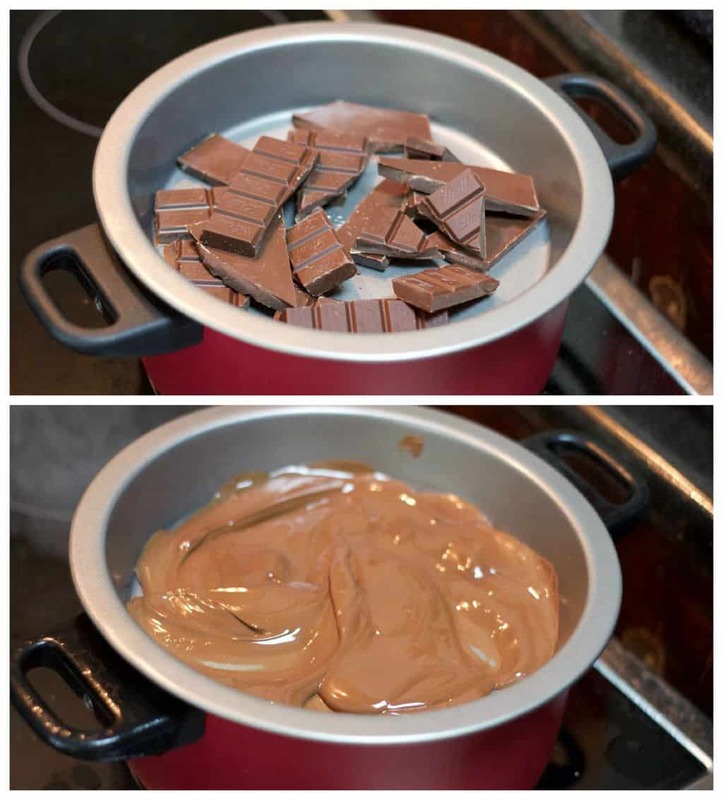 Melt the chocolate by placing it in a heat proof dish over a pot with some boiling water. 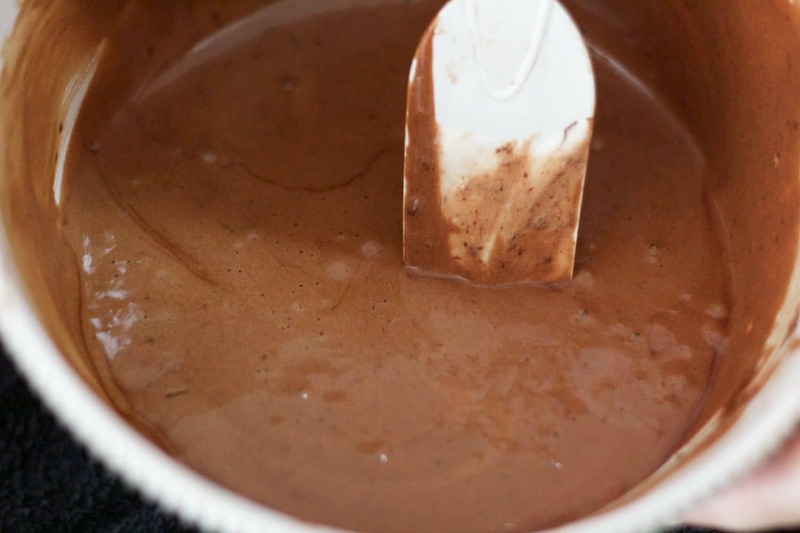 Fold the melted chocolate into the whipped aquafaba mix being careful to incorporate it slowly, folding it in gently. Then add the peppermint extract. 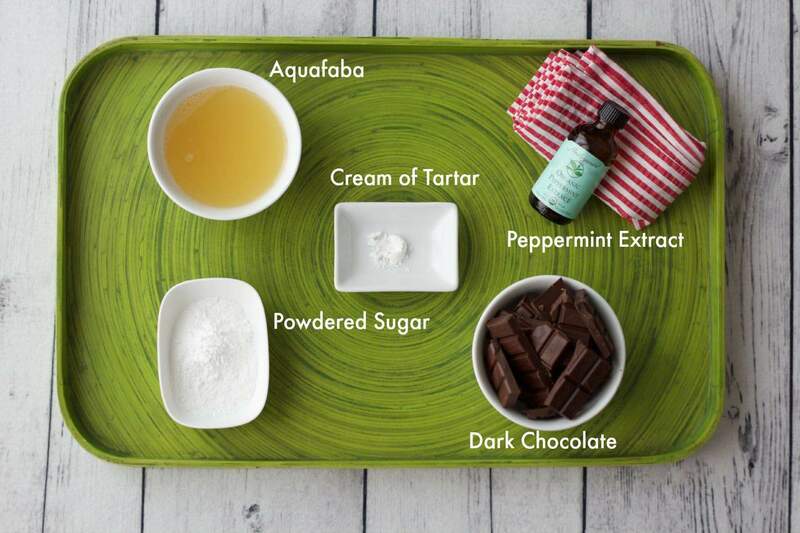 You will notice that the aquafaba mix collapses a little once the chocolate and peppermint extract are mixed in, don’t worry about this, it’s fine. 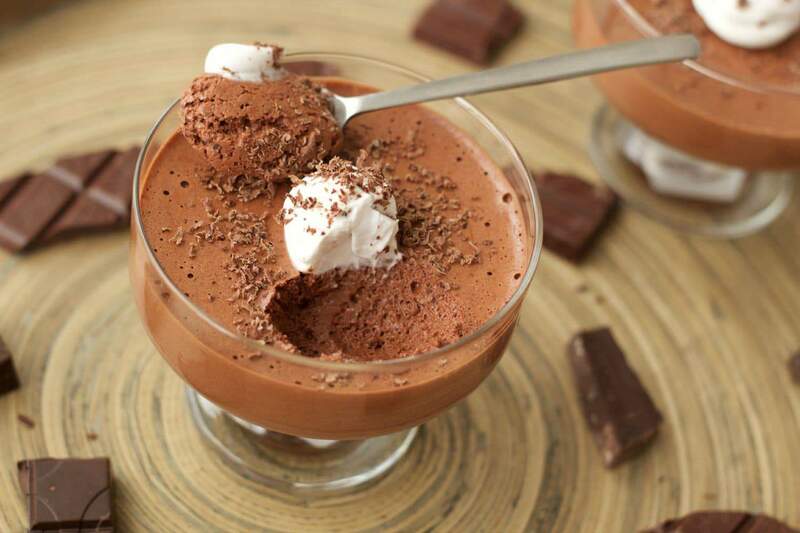 Pour equal amounts of chocolate mousse into serving glasses and place into the coldest part of your refrigerator to set for an hour or two. 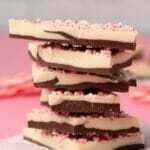 Serve with whipped coconut cream and grated peppermint dark chocolate. 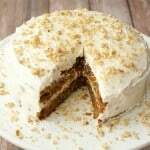 *Nutrition information is based on 1 serve of 4 without coconut cream. 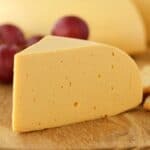 OMG this is mouthwatering! I love the awesome graphics, these pics are so good, I could stare at them all day. 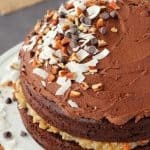 Please keep these gorgeous recipes coming. 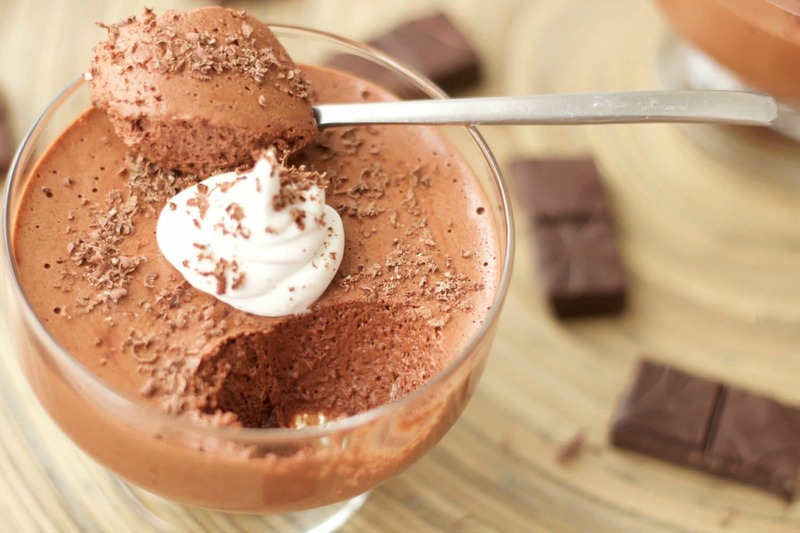 I followed your recipe but did not get the mousse-like result at all 🙁 I just had this really foamy dessert 🙁 I used my electric mixer for over 15 minutes too until it was kind of stiff but still no luck 🙁 Any ideas?? Thank you!! Hi! What a pity. The stiff peaks is crucial. It has to be those super stiff peaks, if it hasn’t reached that stage yet, then keep on mixing. And if it just doesn’t reach that stage even after say… 20 mins, then I would throw it out and start again with a different can of chickpeas. Could be a dud can. It happens occasionally, even when making whipped coconut cream, occasionally people report getting a dud can that just doesn’t separate. Very annoying, but it happens. The technique to beating the aquafaba is you have to start off slow and allow it to reach that foamy stage and only then increase the speed but very gradually. If you already did it like that, then I would think that it either could have gone for a bit longer or it was a dud can of chickpeas and try a different brand next time. 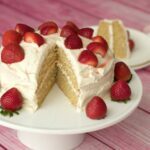 There are a bunch of FAQ’s on the Aquafaba website which also might help. Thank you!! Perhaps this means round 2. Going to finish off the hummus I made, thrn try agaim Cross fingers. Will let you know!! What size can of chickpeas is used? I used a 15 oz (425g) can. This dessert looks delicious! I haven’t made it yet because I wanted to ask if there is a certain size or amount of grams the chickpea can should be? It doesn’t have to be exact, but a rough estimate helps a lot. Is the peppermint extract necessary or can I leave it out?